Hey as some people may know the Bathurst 1000 a few weeks ago and i had managed to watch it. 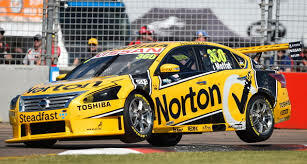 This race was a thiller and lost by the leader because of no fuel left,my team, Norton Hornets a nissan got a podium finsh! hello guys my name is ty and i would like to welcome you to my page. These are things I like.